Dr. Jones completed her Master's Degree in Homeopathy (M.Tech:Hom) at the Durban University of Technology (DUT), after the completion of her dissertation on The efficacy of homoeopathic similimum in the treatment of Attention Deficit Hyperactivity Disorder (AD/HD). She is registered with the Allied Health Professional Council of South Africa (AHPCSA), Board of Healthcare Funders (BHF), and is a member of the Homeopathic Association of South Africa (HSA) as well as the Liga Medicorum Homoeopathica Internationalis (LMHI). She has completed the Heel Advanced Biopuncture Course. 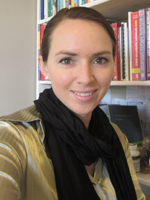 She is a graduate of Applied Functional Medicine in Clinical Practice. Functional medicine emphasises a definable and teachable process of integrating multiple knowledge bases withing a pragmatic intellectual matrix that focuses on functionality at many levels, rather than a single treatment for a single diagnosis. Functional medicine uses the patient's story as a key tool for integrating diagnosis, signs, and symptoms, and evidence of clinical imbalances into a comprehensive approach to improve both the patient's environmental inputs and his or her physiological function.